Some notes and quotes leading up to Saturday’s football game between Wyoming and Fresno State. Kickoff is at 8:30 p.m. MT from Bulldog Stadium in Fresno, California. The game is televised on ESPNU. For the first time on this platform this season, where are my Mountain West football power rankings heading into this week’s games. 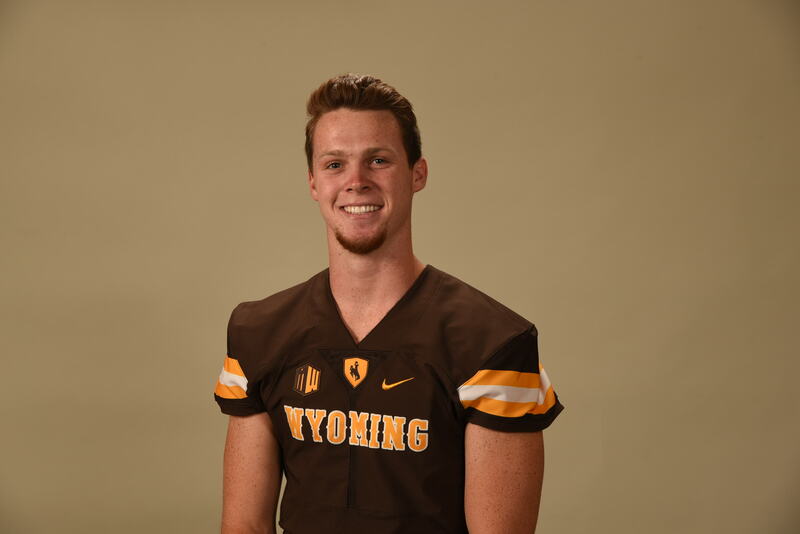 The rankings have been running in our four-page wrap that goes around the Wyoming Tribune Eagle and Laramie Boomerang for every Wyoming game. With no game this week for the Cowboys, there is no wrap. But from now on I will post these rankings on the blog — along with my picks for the week. 1. Boise State (2-1 overall, 0-0 MW): The Broncos came back to earth, and fell out of the national rankings, with their 44-21 loss at now 15th-ranked Oklahoma State. Special teams were their demise with two blocked punts. Boise State still has a shot at New Year’s 6 bowl game, but for a team not used to losing, this had to have been a humbling blow. 2. San Diego State (2-1, 0-0): The Aztecs vault back up to near the top of these rankings after their 28-21 home victory over then No. 23 Arizona State. They did it with their typical style — a strong running game and good defense. They also did it with a backup quarterback. 3. Fresno State (2-1, 0-0): The Bulldogs did what they were supposed to do last week — go on the road and easily beat an undermanned UCLA team from the Pac-12. Senior Marcus McMaryion showed why he’s one of the better quarterbacks in the league. All seems right with San Diego State and Fresno State after both lost the previous week. A disappointing loss, and to me, kind of an odd and stale atmosphere in Wyoming’s home finale — a 13-7 setback to Fresno State. First, the crowd of 15,440 did what it could, but with poor weather Friday and into Saturday morning that kept many fans away because of road closures.Creating any sort of atmosphere was tough. But I will credit the fans who made it. Second, as UW introduced its seniors prior to the game, junior quarterback Josh Allen was among them. That said to me that Allen won’t come back next season and will give pro football a try. Don’t think this was surprising news to most, but it put some finality to that decision, don’t you think? Allen didn’t play due to his injured right shoulder and didn’t do any postgame interviews. Here’s the replay of my live chat from Wyoming’s 13-7 loss to Fresno State Saturday at War Memorial Stadium in Laramie. For coverage of this game and other UW sports, see the Wyoming Tribune Eagle and Laramie Boomerang, and check back to wyosports.net. The final home game for Wyoming is at noon Saturday at Jonah Field at War Memorial Stadium against Fresno State. The game will be televised by AT&T SportsNet (used to be ROOT Sports). Be diverse offensively: On paper, Wyoming is going up against one of the best defenses in the country in Fresno State. The Cowboys need to be creative in what they do offensively. That doesn’t mean come out with a lot of trick plays, or get away from its identity offensively. But depending on the health status of junior quarterback Josh Allen, offensive coordinator Brent Vigen needs to come up with a plan that keeps Fresno State’s defense on its heels. Establishing the run would be a good start, which is key for any game UW plays. Even if Allen plays, limiting the hits he takes is crucial. If junior backup Nick Smith starts or plays, he must be put in situations where he can be successful. Ultimately, UW’s other play-makers, whether that be receivers, running backs or tight ends, must make more plays. Would a trick play or two, or even some different looks or formations work? Perhaps, but the Cowboys also can’t completely reinvent the wheel. There needs to be a balance between the two. 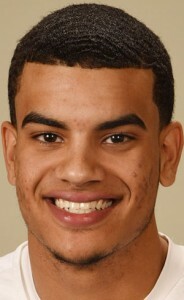 Wyoming sophomore guard Justin James, at 6-foot-7, is the Cowboys’ leading scorer this season at 15.3 points per game. All of those points have been off the bench, but James is among the team leaders in minutes at 24.2 per game. James often is the Cowboys’ point guard, and of all the players on the team, has the ball in his hands more often than not. A by-product of that is turnovers. His 55 are second-most on the team. The Port St. Lucie, Florida, product is coming off back-to-back 20-point games, including a game-high 26-point effort in the Cowboys’ 83-74 road win at Air Force last Saturday. James also had a career-high seven assists in that game. The only other time this season James had consecutive 20-point games was back in late November when he had a career-high 28 at California, and 21 at home against Denver. In those games, James had a combined three turnovers. Against Air Force and the previous game against Boise State, he had nine. Quickly, who can tell me who Nick Szpor is? 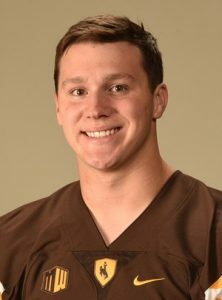 Hint: He’s a starter for Wyoming’s football team as a true freshman walk-on. Szpor came to UW this summer as a 6-foot-3, 202-pound true freshman walk-on quarterback from Central High in Fresno, California, right in Fresno State’s backyard. “One of my best friends from home picked Wyoming to go to school as a regular student, and he offered to bring me out here to check things out,” Szpor said. “My dad found (UW director of recruiting) Gordie Haug’s email address and contacted him. Here is my final Mountain West men’s basketball power rankings of the regular season. RPI rankings are from RealTimeRPI.com from games played through Sunday, Feb. 28. The MW is 12th in conference RPI, but the league now has three teams ranked in the top 100 after having just two for much of the season. As always, your feedback is welcome and encouraged. 1. San Diego State (21-8 overall, 14-2 MW, 58 RPI): An odd and unexpected collapse at home against Boise State that snapped a streak of 164 straight wins for the Aztecs when they led with five minutes left to play. Still the No. 1 team in the league, but perhaps more vulnerable now. 2. Fresno State (20-9 overall, 11-5 MW, 84 RPI): In second place alone in the conference, and has won eight of its last 10 games. Also has the longest winning streak in the league at four. I wouldn’t want to play this team in the MW Tournament, and the Bulldogs also are getting healthier from a physical aspect. 3. Boise State (19-10 overall, 10-6 MW, 82 RPI): An impressive come-from-behind road win at Boise State without its best player, junior forward James Webb III, due a knee injury. Also made a big jump in the RPI after it was hovering around 100 last week. Here are my Mountain West men’s basketball power rankings this week. RPI rankings are from RealTimeRPI.com from games played through Sunday, Feb. 21. The MW is 11th in conference RPI. Three MW teams are ranked in top 100 in the RPI, and seven are ranked between 112 and 200 out of 351 Division I teams. 1. San Diego State (20-7 overall, 13-1 MW, 50 RPI): Just one game for the Aztecs this past week, which may have been a good thing as it makes a push toward the postseason. An interesting week ahead with games at Wyoming and at home against Boise State. 2. Fresno State (18-9, 9-5, 94 RPI): In a tie for second place in the MW, and the team that made the biggest jump in this week’s power rankings. A game at New Mexico Saturday will tell a lot about the Bulldogs this week, but they are a team that can win the MW Tournament. 3. New Mexico (16-11, 9-5, 116 RPI): An impressive come-from-behind home win over Boise State was followed up by a disappointing road loss at Air Force. Fans in Albuquerque are not happy with this team and its coach. Here is my question-and-answer session with Robert Kuwada, who covers Fresno State men’s basketball for the Fresno Bee, about Wednesday’s game with the University of Wyoming. What is the health status of the Bulldogs heading into this game as they were without four frontcourt players in their last game at Nevada? Fresno State will go into the game short, but could have at least one player back. Forward Torren Jones has been ruled out and forward Karachi Edo and center Terrell Carter II are doubtful. Forward Paul Watson (calf) could be back, but coach Rodney Terry said they are not going to push and risk further injury. Watson would be a critical piece against the Cowboys – he defended Josh Adams most of the second half in that first matchup down here and he was 3 of 12 over those 18 or so minutes. Fresno State’s win over first-place San Diego State last week showed how good the Bulldogs are, but aside from the recent rash of injuries and illnesses, what has led to some of the inconsistent play with this group? That’s a very good question. It’s a bit weird for an older team with guys like Marvelle Harris, Cezar Guerrero and Julien Lewis that have played a lot of college basketball, but the consistency of effort hasn’t always been there. I think the loss at San Jose State with a chance to win a third conference game in a row was a tipping point, though, because they have been a lot more competitive since even while missing some key pieces. The Bulldogs beat UNLV without Jones, who had 18 points and eight rebounds in the first meeting. They beat San Diego State without Jones and Edo and with Watson going down early in the second half. They came from 13 down in the second half to force overtime before losing at Nevada, losing Carter that morning. They’re just are competing much better now than they did early in the year.